Can citizens be trusted with bad TV and the vote? Did Watching Baywatch Make Italians More Susceptible to Berlusconi’s Politics? How light entertainment affects voter behavior, in Italy and at home. Italy’s former prime minister, Silvio Berlusconi, leaves after voting for a referendum on constitutional reforms Dec. 4 at a polling station in Rome. This 200-plus–year-old conjecture finds increasing support in research by economists studying recent elections in both the U.S. and Italy. A National Bureau of Economic Research working paper released in January found that while fake news was unlikely to be a decisive factor in the presidential election overall, less-educated voters were more likely to believe fake news stories (including ones the researchers themselves made up). A recent study by Italian researchers looks at a different threat to voter judgment: the advent of mindless Italian television, which led to a greater vote share for populist parties on both the left and right. Given the American government’s weakening support for public education and our ever-expanding options for mindless distraction, both studies are cause for concern that voters might not be relied on to preserve their liberties or indeed their well-being. 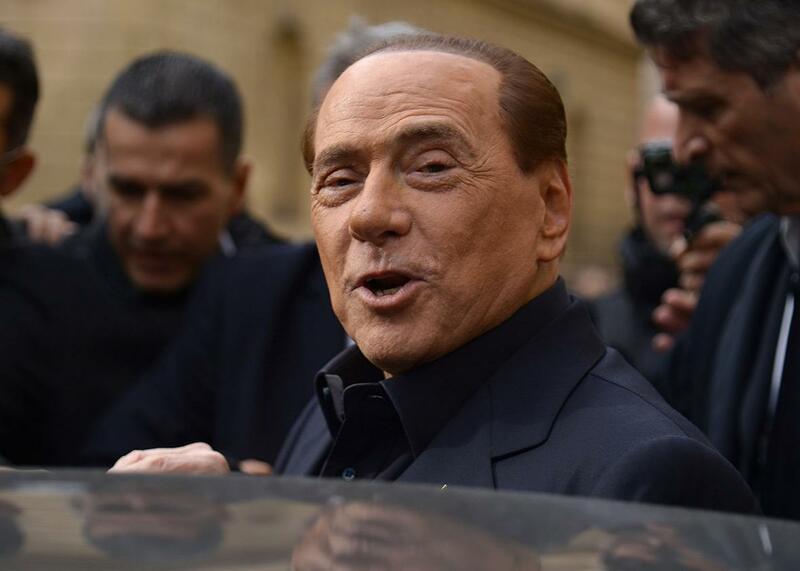 It’s been widely observed over the past year or so that Silvio Berlusconi is Italy’s Donald Trump: They share a background in business as well as a penchant for theatrics and populist rhetoric. While Trump made (and lost) fortunes in real estate, Berlusconi ran a media empire, including the Mediaset television network, which emerged as the main alternative to the state-run RAI network in the 1980s. The spread of Mediaset—and its consequences for Italian politics—is the focus of “The Political Legacy of Entertainment TV,” a recent Center for Economic and Policy Research discussion paper by Italian economists Ruben Durante, Paolo Pinotti, and Andrea Tesei. To understand their approach and interpret their findings—particularly for American readers acclimated to the Fox-versus-CNN partisan divisions in network TV—some background on Italian TV is in order. When Mediaset channels first appeared on the scene, their content was devoted exclusively to what might be charitably described as light entertainment. Foreign action dramas (Magnum P.I.) and fluff (Baywatch) featured prominently as did cartoons, soccer games, and domestically produced game shows (often featuring scantily clad women). News content was virtually nonexistent until the 1990s. As a result, Durante and his co-authors argue, the influence of Mediaset on voters’ decisions necessarily acted through different channels than, say, Fox News bluster and spin. While Fox News aimed to change Americans’ political allegiances, Mediaset was happy simply softening up Italians’ brains. Mediaset was unable to blanket the entire country with broadcasts during its early years, which is fortunate, from a research standpoint. In 1985, its channels could reach only about half of Italy’s citizens via local broadcast transmitters. Since these local transmitters were set up well before Mediaset came on the scene, the authors argue that exposure to Mediaset was somewhat idiosyncratic: Among otherwise similar communities, some received Mediaset exposure while others didn’t, owing to factors like the ruggedness of terrain, which would interfere with broadcast signals. By 1990, Mediaset had blanketed the country with broadcast transmitters, giving 98 percent of the population access to the network’s “light entertainment” offerings. By comparing Italians that were exposed to Mediaset earlier on to those who received it later, the authors can identify the extent to which its programming caused differences in later political decisions. Given that the difference between early and late exposure to Mediaset was only five years, the voting gaps that the paper describes are surprisingly large: Durante et al. document that early access to Mediaset led to a 1 percentage point increase in support for Berlusconi’s populist Forza Italia party. This effect was also shockingly persistent, lasting throughout Berlusconi’s 25-year political career. It’s tempting to chalk the finding up to another—perhaps more subtle—“Fox News effect.” Maybe some of those trashy game shows and cartoons had some hidden Forza Italia messaging embedded in them, for example. Durante and co-authors argue otherwise. They point out that early exposure to Mediaset didn’t just benefit Berlusconi’s party—it’s also associated with a higher vote share for Italy’s latest populist movement, this one coming from the left rather than the right. In the 2013 election, areas with early Mediaset coverage were more likely to vote for the Five Star Movement led by comedian Beppe Grillo, a candidate better known for one-liners than nuanced policy positions. They also find other consequences of exposure to entertainment television: Focusing on individuals who were under 10 in 1985, the authors find that those exposed to Mediaset had lower numeracy and literacy scores in international standardized tests as adults, and were also less likely to be interested in politics. These findings are a grim indication of how mindless distraction—even absent deliberately misleading or phony news content—can affect elections. Closer to home, a study by Hunt Alcott and Matthew Gentzkow released earlier this year would seem to indicate that less educated voters—as defined by whether they completed high school—are more vulnerable to fake news. The paper’s focus is on voters’ exposure to fake news and its likely effect on the election. As was widely reported when the paper was first released, you would need to make somewhat implausible assumptions about the influence of fake news on vote decisions for it to have been a deciding factor in the election simply because not enough voters were exposed to fake news stories. Its auxiliary results, however, underscore the message that education may be a salve for political ignorance and a safeguard against demagoguery: Less-educated survey respondents were more likely to believe both fake news stories that were widely reported during the 2016 election as well as phony news stories that the researchers themselves fabricated. There’s no easy corrective for a disengaged and misinformed electorate. We have fact-checking organizations like Snopes and PolitiFact to push back against misleading claims by politicians or their supporters. But, unsurprisingly, traffic to their sites is vanishingly small when compared to the manufacturers of phony information itself. (This is further assuming that their fact-checks work in fixing misperceptions.) And it’s hard to imagine how we’d legislate television and internet distractions out of existence if disengagement, rather than misinformation, is part of the broader problem. Perhaps we can pin some of our hopes on one possible result of the Trump presidency: If things go as badly as many expect, maybe Trump’s legacy will be a more engaged, involved, and informed electorate. If so, we’ll be able to look back on the 2016 election as the low point in the dumbing-down of American politics. For now, though, a nation that thrilled to the mindless distraction of The Apprentice is stuck with its star as commander in chief.